My client today couldn’t stand it that I didn’t eat lunch (I never do). 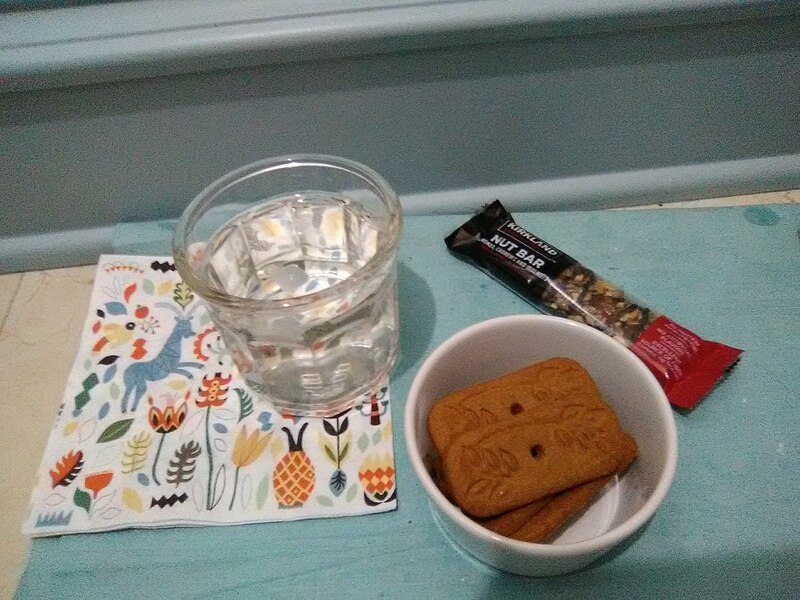 So in the afternoon, she brought me a snack. 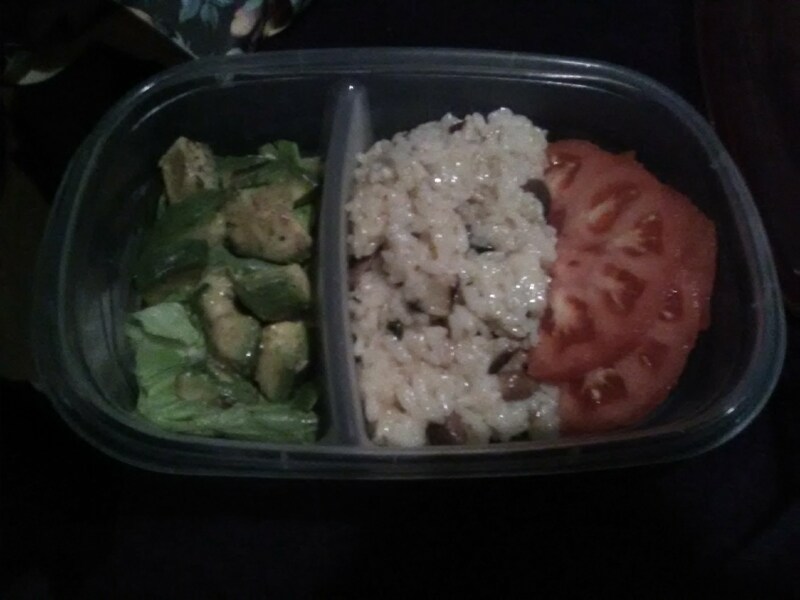 Then when I finished, she sent me home with a doggie bag of avocado salad and risotto, made with basil, parmesan, and mushrooms. Yum! This home in the Champions Forest area of north Houston received flood damage after Hurricane Harvey. 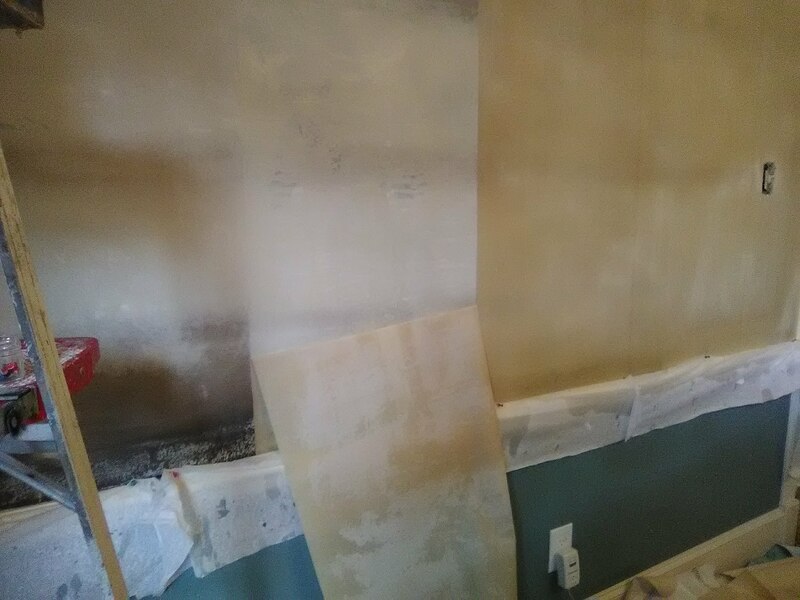 The bottom 2′ or so of drywall had been cut out and replaced by the restoration contractor. The only thing is, the new drywall was recessed back about 3/8″ from the existing drywall. 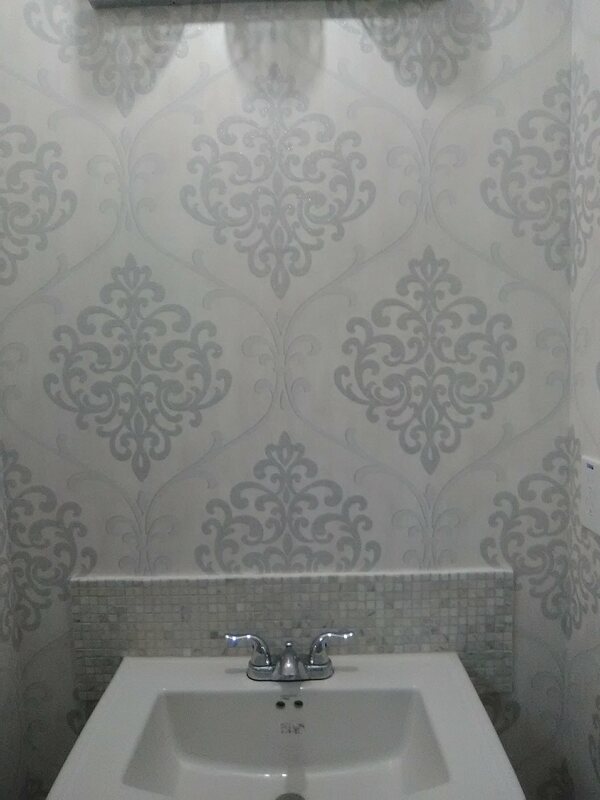 Even though this was near the floor in the niche behind the refrigerator, the homeowner didn’t want to have a difference in wall height, nor a mis-match in the wallpaper pattern. Once the new strips were smoothed into place (4th and 5th photos), the patched areas are virtually undetectable. 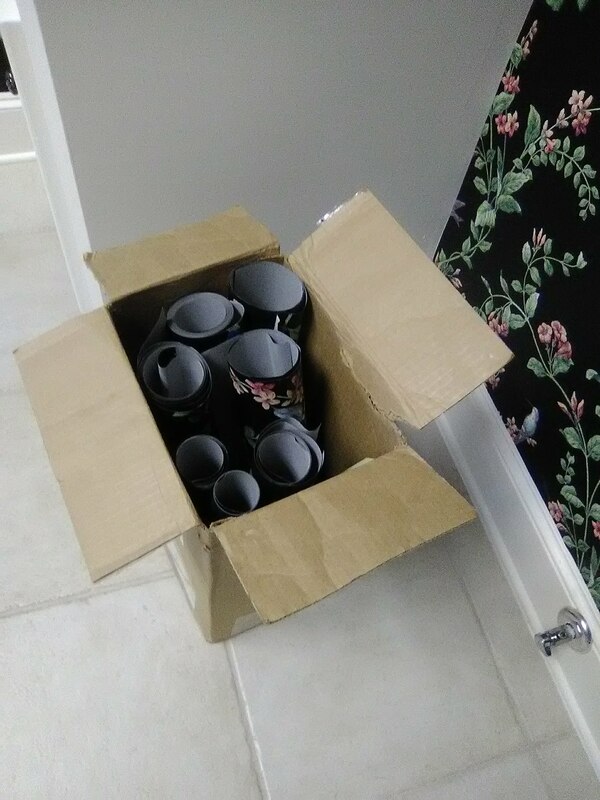 Sometimes people complain about having left over wallpaper. But here’s a good example of why you should. (last photo) This homeowner had kept all her leftovers in their original wrappings and in their original box, in a climate-controlled environment (not the garage or attic), and she had what was needed to make this repair (and several others around the room that are not shown here). 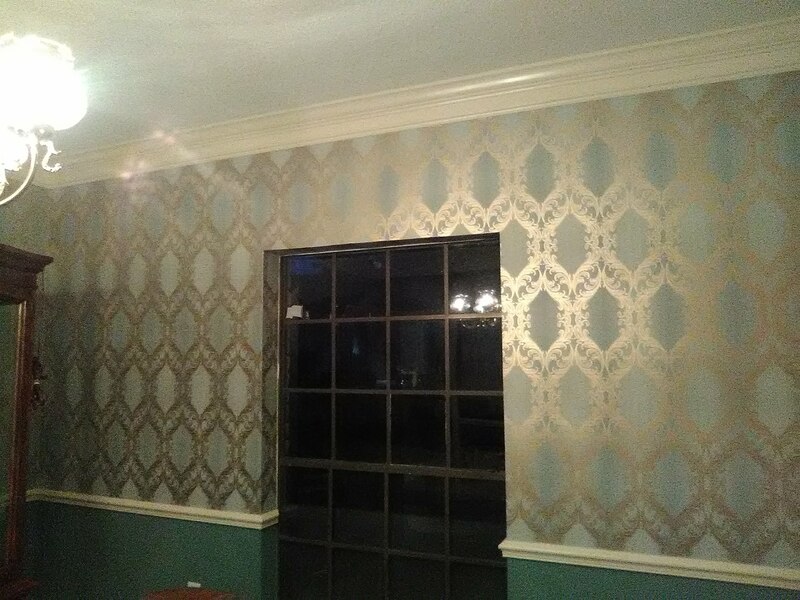 The original wallpaper put up in the early ’90’s was the then-popular “satin” or “moray” shiny, slightly textured heavy vinyl material, with – to crown it off – boring stripes in a lackluster color. 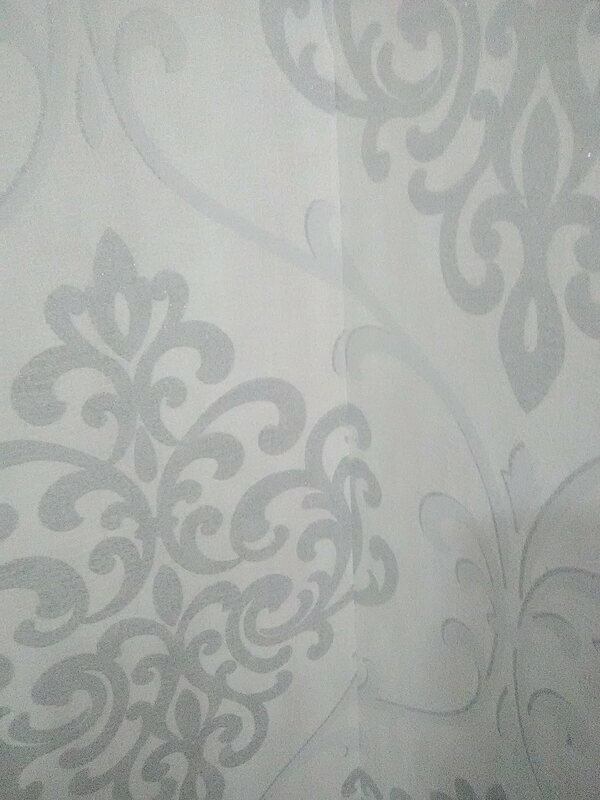 Before the new classic damask pattern can go up, the old paper needs to be removed. Here are some of the steps. 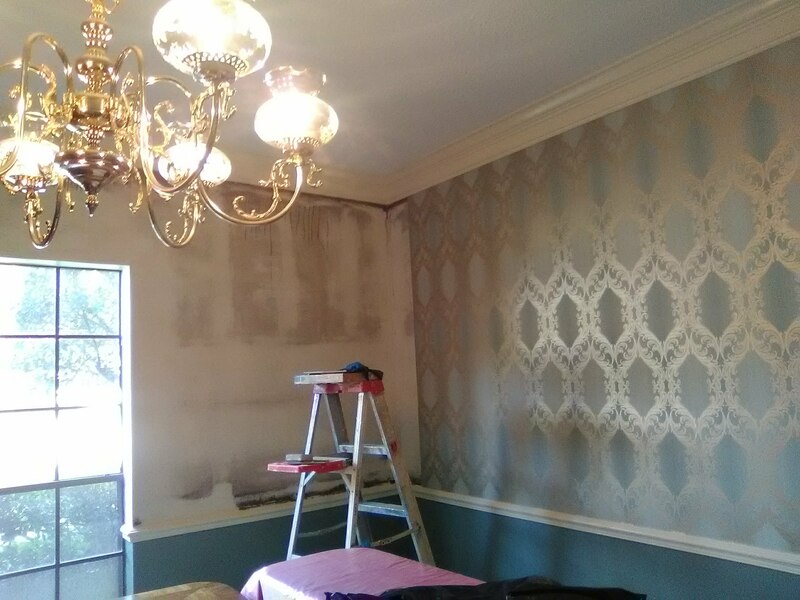 Stripping wallpaper is a matter of separating the layers, soaking the backing, and removing the backing from the wall. In the top photo, you can see that some of the colored / striped white vinyl layer has been pulled off the wall. It leaves behind a gritty-textured, yellow manila paper backing, still stuck to the wall. 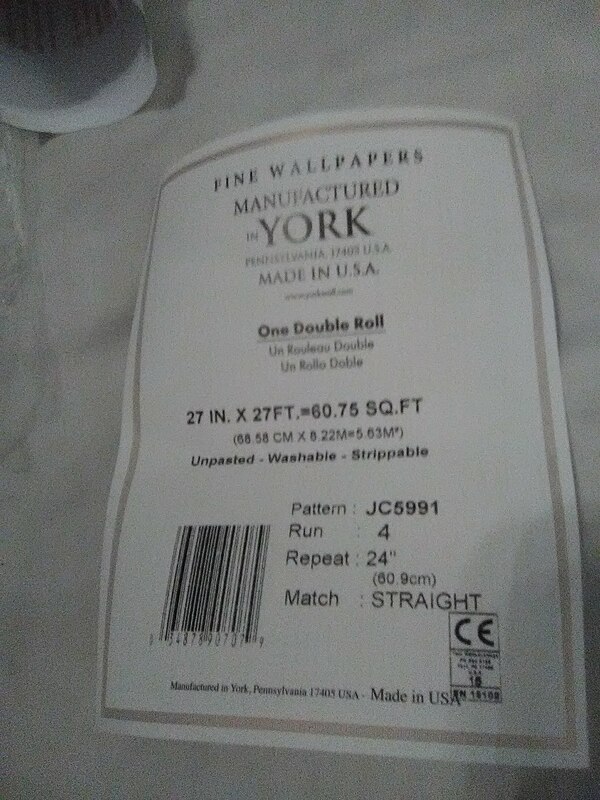 Don’t let anyone smart-talk you into believing that it’s OK to leave this paper backing on the wall. The truth is, if you put new paper on top of it, the moisture from the paste will soak into the substrate left on the all, and will most likely cause bubbling of both layers. Back to the top photo. 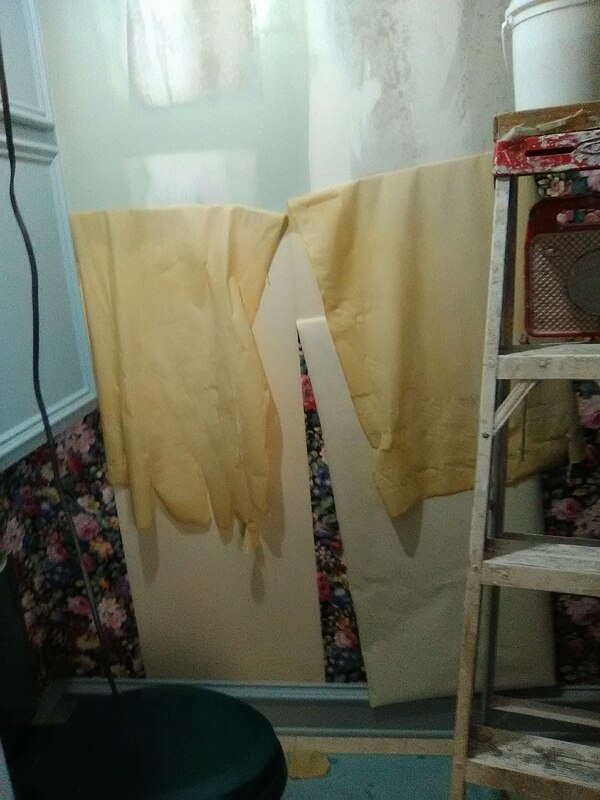 Once that vinyl layer was stripped off the wall, I used a large sponge and a bucket of hot water to soak the backing left on the wall from each strip. This process is drippy, so I protected the baseboards and chair rail with absorbent, water-proof strips. 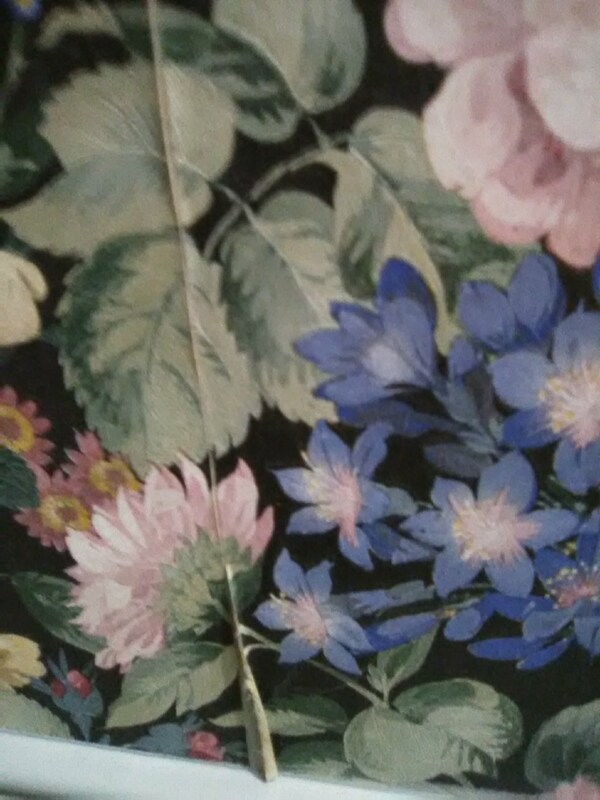 In the photo, you can see the color change of this paper backing, as it becomes saturated with water it darkens and the paste behind it begins to soften. 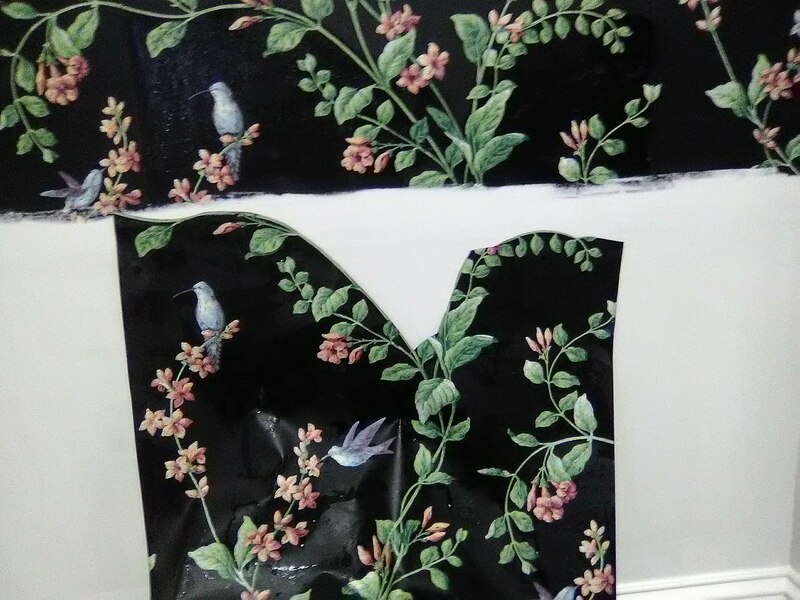 In the second photo, the paper backing is entirely wet, the paste has reactivated and loosened, and the paper is easily peeling away from the wall, in one tidy intact piece. 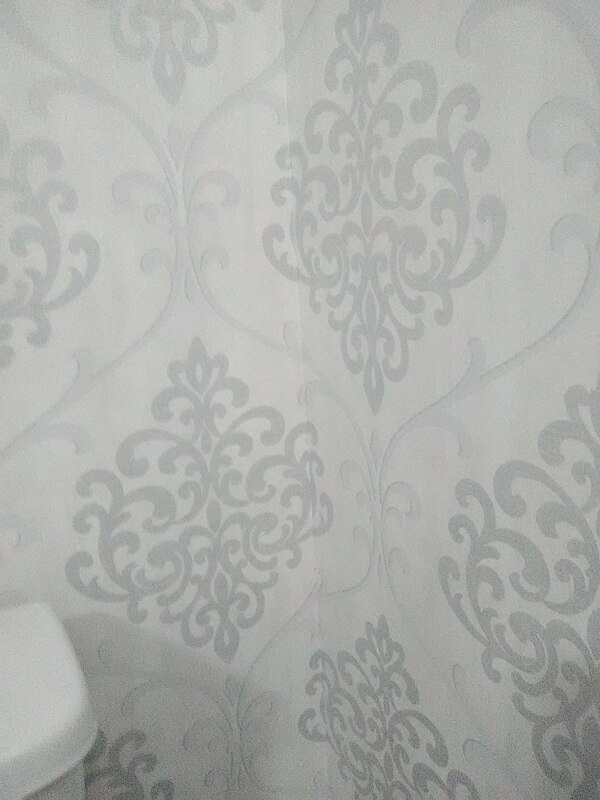 The section of wall to the right still has paper stuck to the wall. The section to the left has been stripped, and then scrubbed to remove paste residue. The section in the middle is coming away to reveal a light colored clay-based paste still adhering to the wall. I will soak this, scrub it with a coarse sponge, and then wipe it with a softer sponge, to remove as much paste residue as possible. 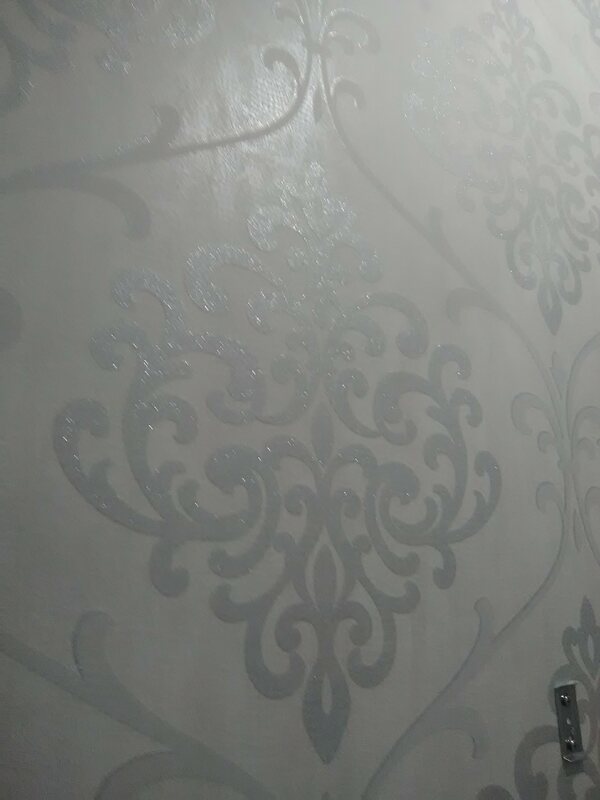 Once the paste is washed off the wall and the wall has dried, I will apply a primer / sealer. 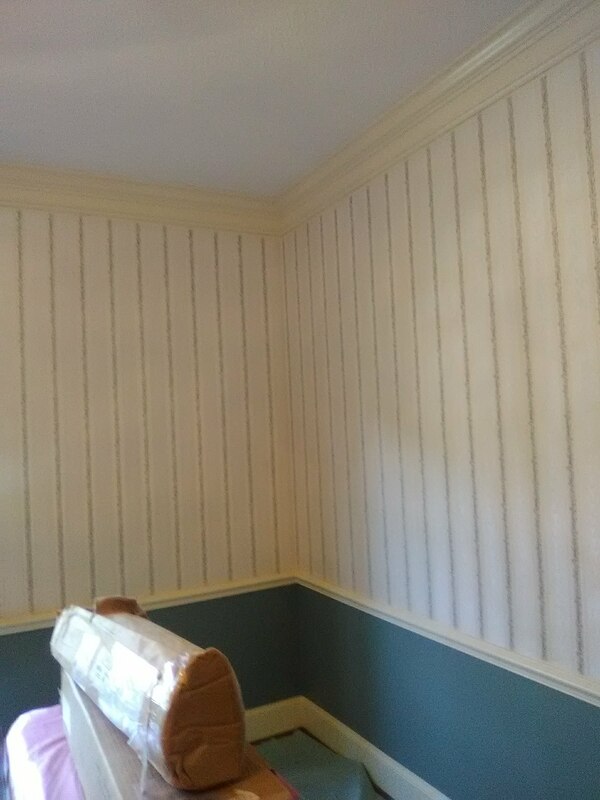 Note that this strip job was fairly easy and left no damage to the walls, due to a couple of important factors. 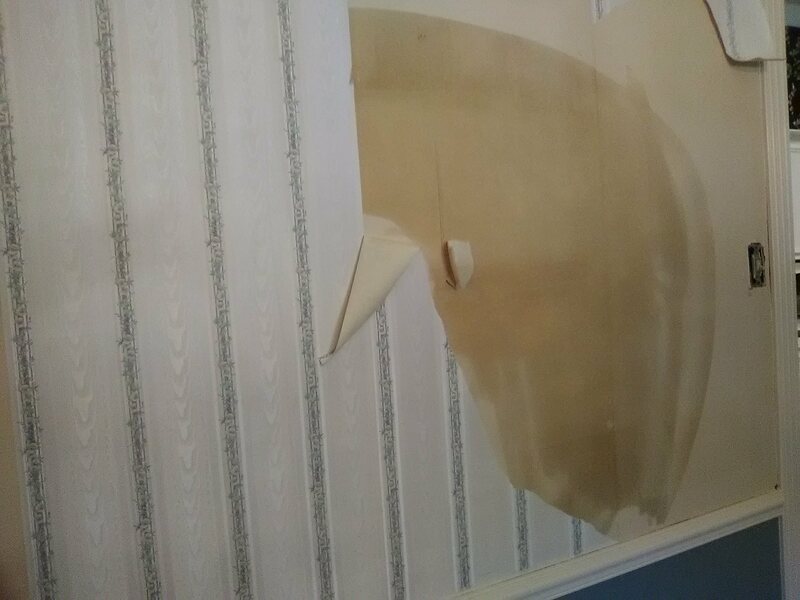 First, I think the original installer used a primer or sealer on the walls before hanging paper. On to the Third,,, the clay-based paste used by the original installer (and I’ve gotta wonder why he pasted the paper in the first place, since it was a pre-pasted paper – I follow the manufacturer’s instructions to run the paper through a water tray, which allows it to absorb moisture and expand as it’s supposed to, and also to become more malleable). 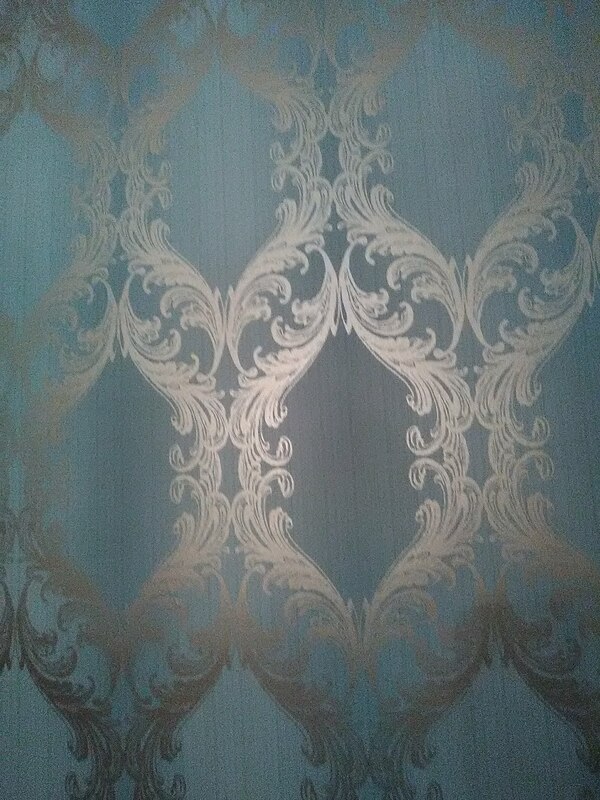 But I also augment that by rolling on a thin layer of paste onto the wall. ). Anyway, the clay-based pastes seem to rehydrate more readily than other pastes, and to separate from the paper more easily. They do leave a gooey, tan-colored mess on the wall, though. Which will need a bucket of hot water, a scrubby, and a lot of elbow grease to remove. 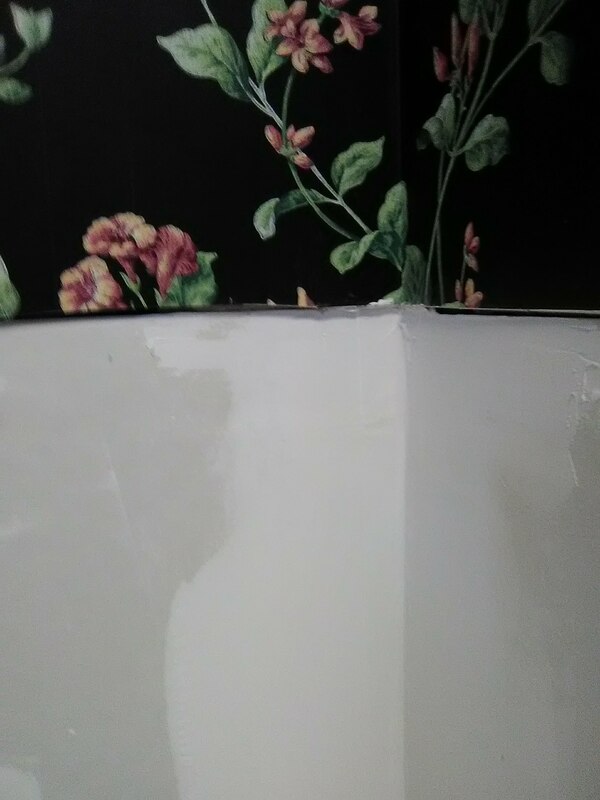 Getting this paper off the wall is a matter of peeling off the top, printed, vinyl layer. This usually comes off in large pieces. 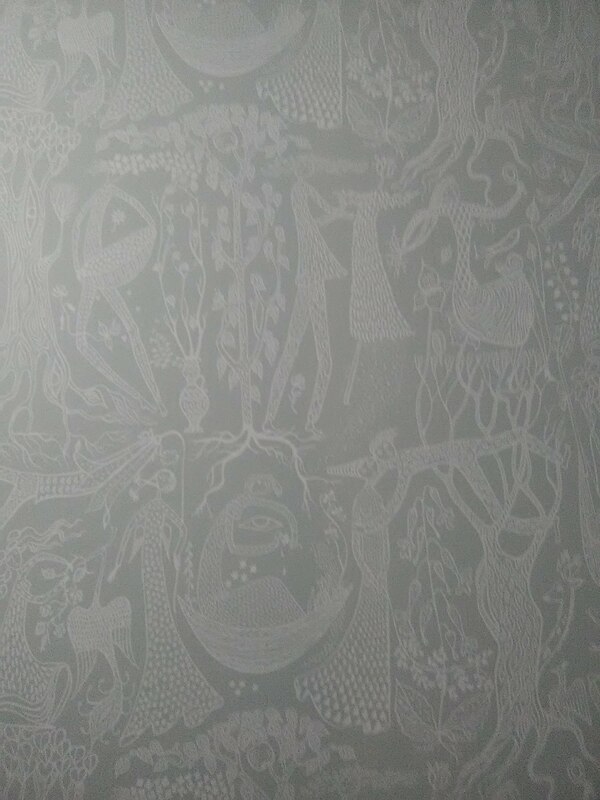 The paper substrate layer will be left on the wall. That’s the light tan you see in the photo. That layer gets soaked with a wet sponge and warm water. The backing will turn darker tan when it’s good and wet, as shown in the photo. It usually takes several applications of water, over a period of time, to reactivate the adhesive enough that the paper can be removed. Sometimes that backing will simply and cooperatively come away from the wall. Other times you will need to use a stiff 3″ putty knife to gently scrape it off the wall, taking care to not gouge the wall or tear the drywall. If the previous installer primed the walls, all this should go fairly easily and with minimal damage to the walls. 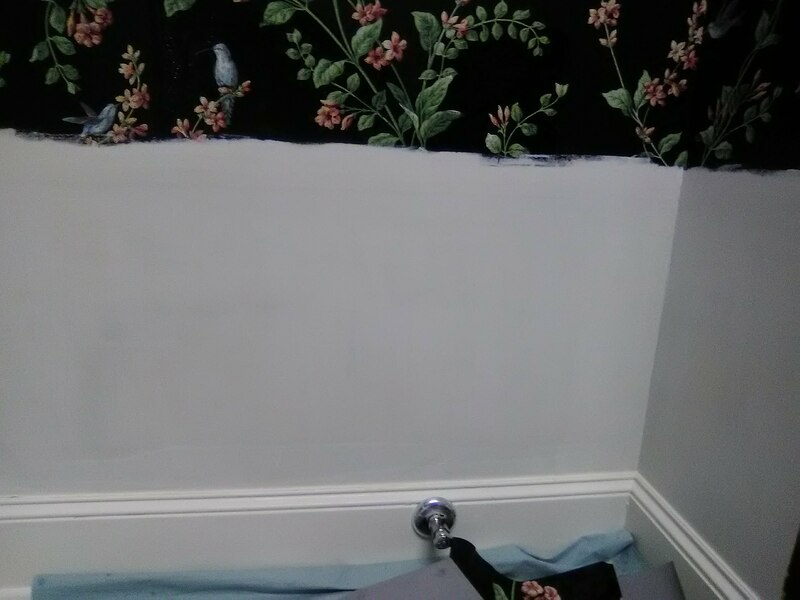 But if no primer was used, it may take more care, time, and a little repair work to fix any damage to the walls. 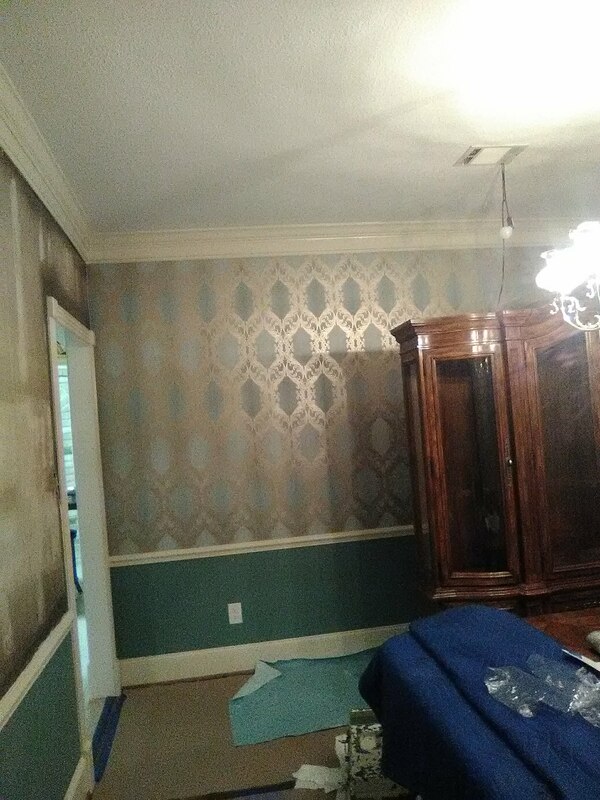 See the page to the right on “How to Strip Wallpaper” for more information. 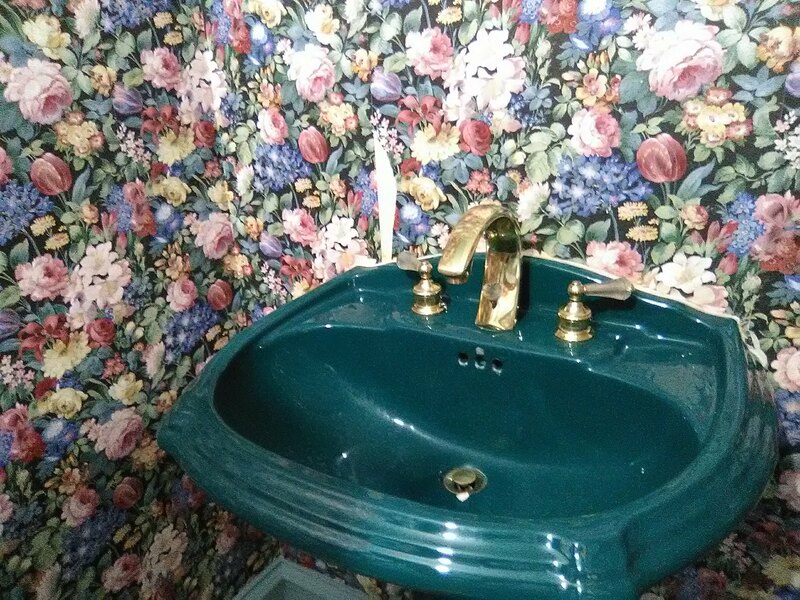 This room was decorated around the unique dark green pedestal sink and toilet. 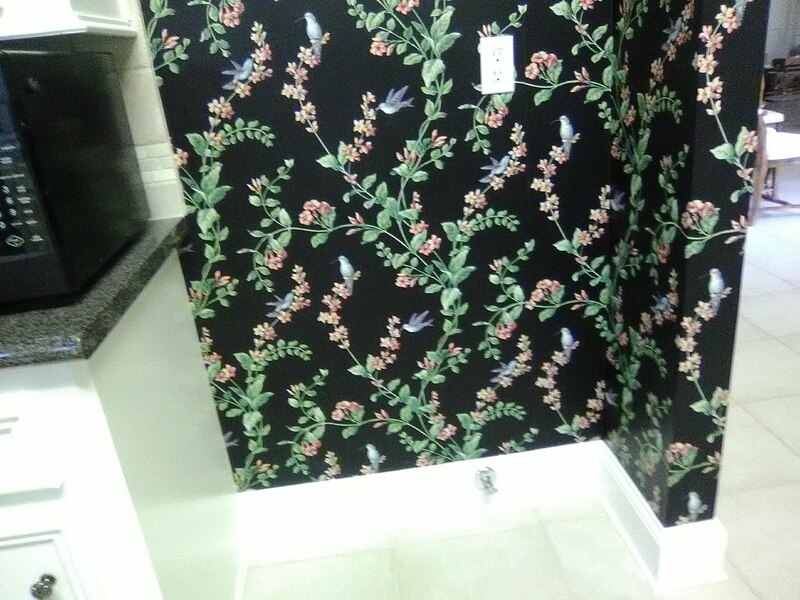 Back when the house was built, in 1992, the black floral wallpaper was a fun and in-vogue pattern. 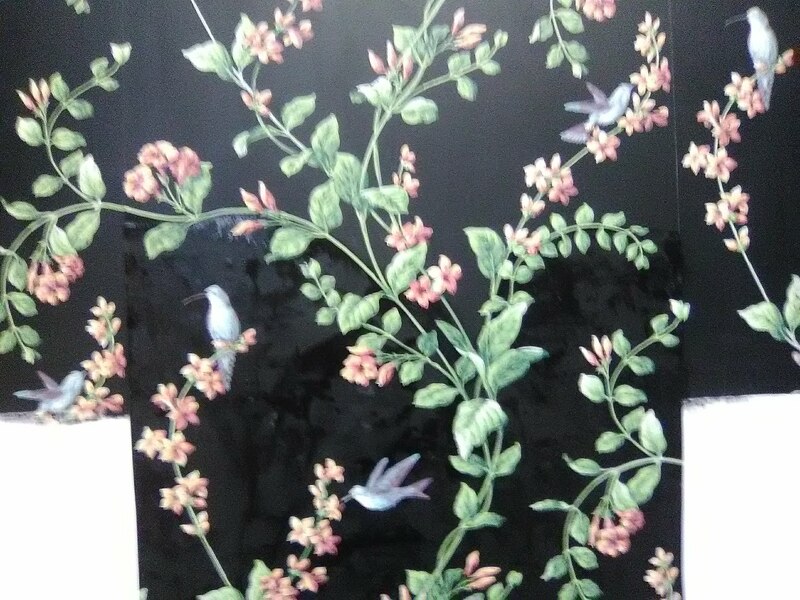 This wallpaper pattern is by the Swedish company Boras Tapeter. While this particular choice is monochromatic and muted, the company has a wide variety of very playful designs with a whole lot of color – all the while reflecting the simple, clean-lined Scandinavian look. 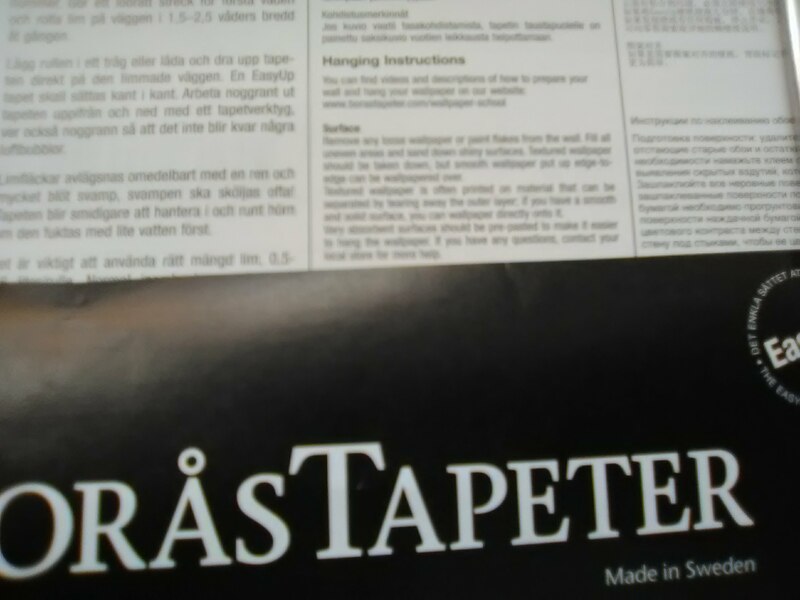 Interestingly enough, I have another client family looking at patterns from this same brand. Additionally, the quality is great, and it was very nice to work with. 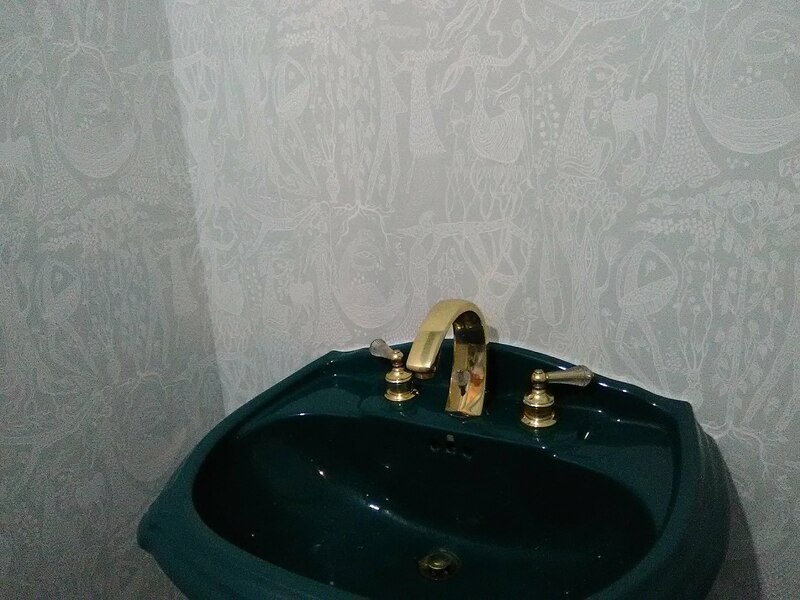 It’s a non-woven material, and is designed to be a paste-the-wall install process – but I pasted the paper instead, which makes it more pliable and cooperative, especially around complicated areas like the fluted pedestal sink. 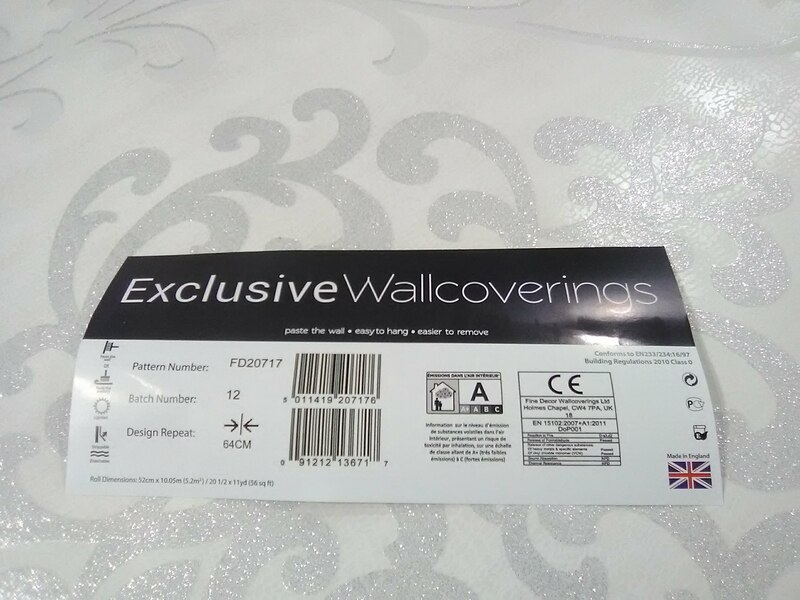 Another advantage if the non-woven products is that they are engineered to strip off the wall easily and with minimal damage to the walls, when it’s time to redecorate. You are currently browsing the Wallpaperlady's Blog blog archives for April, 2018.